Writers everywhere were abuzz this weekend with the news that Amtrak is piloting “Amtrak residencies”—train trips provided to authors for the sole purpose of writing. Really, there’s no better place to get some quality authoring in: the scenery flying past, the white noise of the tracks, the chance to eat breakfast one place and dinner somewhere miles away…it’s like Walden Pond on wheels. We here at Quirk are ALL ABOARD with this idea. In fact, we’d like to submit our entire company for one of these railroad residences. We want to be the first train-based publisher. We think we can, we think we can, and here's our plan! We'd clamber on to a train at Philadelphia's gorgeous 30th Street Station. In a nod to the efficient packing style of rail-roading hobos, our bindles will contain nothing but books, laptops, books, and those weird neck-pillows so we can take train naps. We'd take a longer-haul route—publishing takes time, people!—preferably one with a sleeper car and some excellent vistas. According to this Amtrak post, the most beautiful routes in our neck of the woods are the Adirondack up to Montreal, the Pennsylvanian to Pittsburgh, and the Vermonter to, well, Vermont. We'll take any of those! Bonus points if we can swing by New York and wave to the rest of the publishing industry. 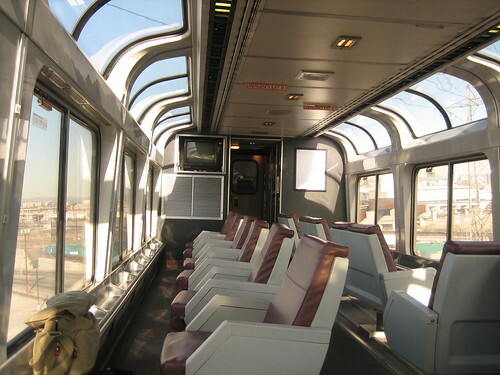 Design will spread out in the observation car (note to Amtrak: please assign us to a route with an observation car). There, they can take in the gorgeous colors of the countryside whizzing by and desperately clutch at their Wacom tablets and scanners jostling around as the train clickety-clacks through the trees. The production team will get the dining car, with table space to spread out dummies, ARCs, samples, and spreadsheets. They will get first dibs on snacks, but will also be responsible for hoarding coffee for the rest of us (we’ll come get it as long as there are plenty of those little cardboard trays). Publicity, marketing, and sales will get those little four-seaters at the entrance to every car—extra leg room, and they can schedule in face-to-face meetings with contacts at every stop along the way (Eric will be allowed to rove the train so he can tweet pictures). You may be thinking: that’s so crazy, it just might work! You may also be thinking: that’s so crazy! Full stop! But Quirk’s not just about innovation, we’re about transportation. Transportation innovation. Transportation innovation station to station. We want to be the publisher brave enough to take the next (watch your) step and ride the rails to Bookstown. Now, if you’ll excuse me, I’ve got a train to catch. Amtrak, choo-choose us!